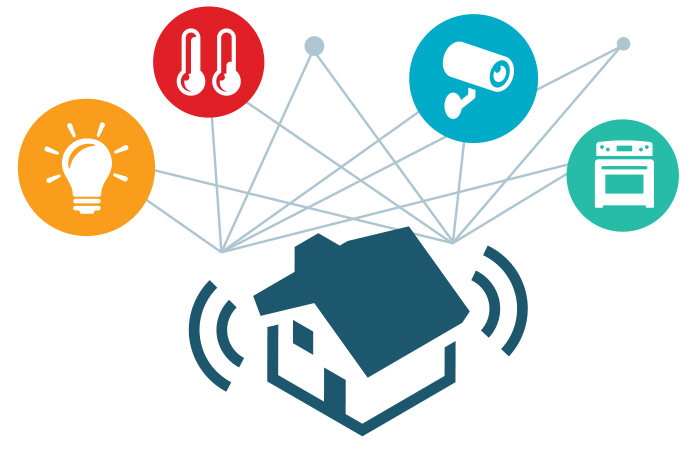 As the world awaits the full realization of the Internet of Things (IoT) — the computer- based platform on which all home automation will reside — the individual products and innovations that will one day comprise it are slowly trickling out. These smart home technologies will likely end up in all homes in the future; however, the difference in their effect on a typical homeowner compared to one living with muscular dystrophy, ALS or a related muscle- debilitating disease is the difference between additional convenience and a game-changing transformation. Here, we take a look at some of the latest products promising to make life at home easier, more convenient and more independent for individuals with neuromuscular diseases. For the general population, doorbell cameras are usually used for monitoring the doorstep while away from the house. 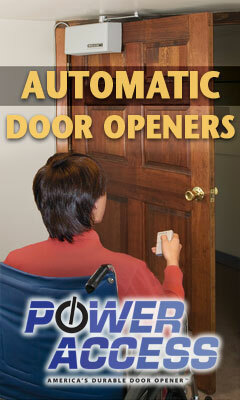 For people with neuromuscular diseases, they are about managing the doorstep from the inside. Ring’s Doorbell Camera ($199, Lowe’s) lets homeowners communicate audio-visually with visitors at their door. Vivint’s Doorbell Camera ($1,500, vivint.com, 844-720-7988) takes it a step further by including a motion detector, door-and-window sensors, auto locks and 24/7 live surveillance. The inability to monitor and self-regulate room temperature can be a troublesome reality with certain types of neuromuscular diseases. A new series of automated thermostats addresses this issue by “learning” and predicting a person’s temperature needs on its own. The Nest Learning Thermostat ($249) takes about a week to study your temperature preferences and then it programs itself. And the longer it’s used, the smarter it gets. A new wave of smart LED bulbs and switches are already making a huge a difference in people’s home lives since their arrival on the market two to three years ago. Philips’ Hue lighting system uses LED bulbs which communicate with a free application that serves as the interface through which lighting can be turned on and off, dimmed or put on a timer ($199.95 for a White and Color Ambiance Starter Kit). Sengled’s system expands upon this concept by offering bulbs that are not only controllable wirelessly through an app, but also double as wireless home media devices ($49.99 to $149.99). For example, Sengled offers LED bulbs that boost Wi-Fi signals or come equipped with a webcam and speaker. Brandel loves the idea for the lighting capabilities alone. “Simply not having to move through an environment that’s not lit provides safety from so many potential falls,” she says. The WeMo Insight switch ($49.99, available from Lowe’s in May 2016) is a Wi-Fi enabled outlet that controls, monitors and manages home appliances, electronics and home systems, such as air conditioning and heat, from any smart device. Simply plug a device into its connected outlet, and that device becomes operable from a laptop or smartphone. Kitchen electronics companies LG and Innohome have been working on the release of two products holding significant promise toward an individual’s ability to cook and eat. LG’s Signature Refrigerator features a floor sensor that triggers its doors to open when it detects a foot beneath it. “It’s a great feature for people with armloads of groceries but also for people who might have difficulty with arm control,” says Stephen Ewell, Executive Director of the Consumer Technology Association Foundation. The front door of the refrigerator also lights up when knocked upon, letting the “knocker” peek inside without having to open the door. Both the Signature Refrigerator and Stove Guard are expected to come out within the next year. Stove Guard will be priced around $250; LG will release the price on its Signature Refrigerator near 2017. Shaila Wunderlich is a freelance writer in the St. Louis area. The only thing more exciting than the influx of smarthome products on the market is the ever-growing number of experts, think tanks and scientists working feverishly to make the ideal of a fully automated home a reality. One project being worked on to achieve this goal is the “Cognitive Computing Research Study,” which pairs tech giant IBM with the CTA Foundation (the philanthropic arm of the Consumer Technology Association) to investigate the connection between technology, humans and their environment. The study’s findings are expected to be published in a report some time within the next year, which means in the years to closely follow, individuals with neuromuscular diseases may expect to see more (and better) home appliances, robotics and wearable devices available that have the power to streamline their daily routines and make it easier to live independently.